However, I saw a few Instagram posts of cosy socks and snuggly onesies whilst scrolling through my feed, and I instantly perked up a little. The arrival of October isn’t all that bad. And I certainly got my mind into this way of thinking as I made myself a steaming mug of salted caramel hot chocolate last night. A few people have witnessed a negative side to the end of Summer, especially with the fiasco of certain airlines causing chaos and a number of companies going bust and causing all sorts of havoc across worldwide airports. Whilst we’re on that point, I did just want to flag that if it happened to you, I know a lot of people use Flight Delay Claims 4u to claim back and compensation for the inconvenience. So if you did have a nightmare end to your Summer, make sure you’re aware of it! For my Manchester based friends, you may want to look at the Manchester Airport delay compensation page here. Anyway, on another note, for me the Summer months were incredible this year. 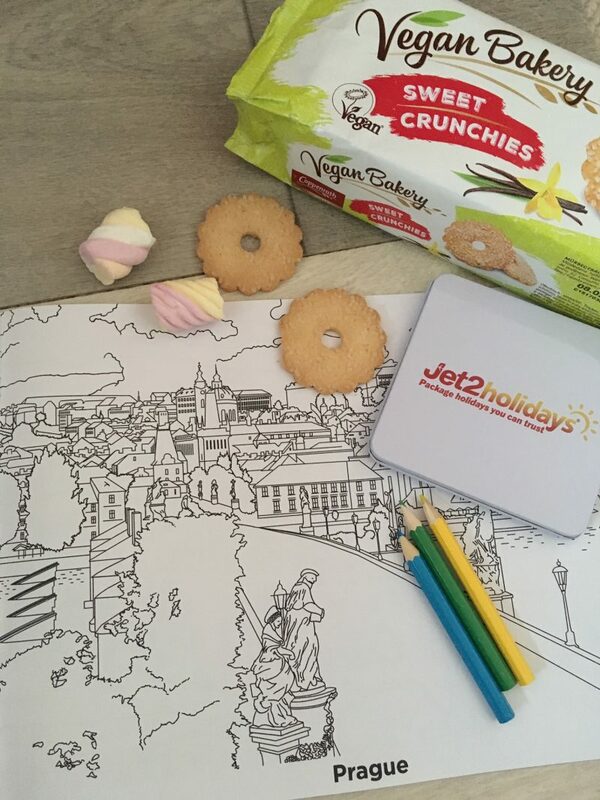 I managed to take a few weekend trips around the UK, go to some lovely weddings and enjoy the British countryside and warmth, and more importantly, get two abroad holidays in which gave me the chance to explore some new countries and cities! And, I’ve managed to book an AMAZING trip for February next year, but I’m not going to reveal the details just yet as the plan is alllll coming together. 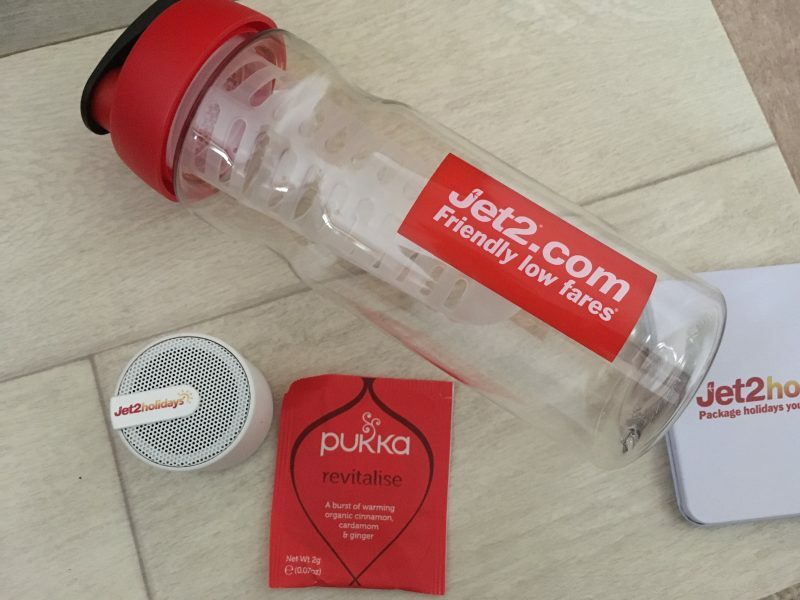 I was basically inspired by Jet2, when I was browsing some flight options for my 2018 getaway and found a huuuuge amount of travel inspiration going on at both Jet2 and Jet2holidays. Because I’m pretty much in a ‘Summer-is-over’ lull, seeing some gorgeous villas on sale and some incredible faraway beach destinations on offer really kicked me into action to get my 2018 trip booked. All I can say at present it’s a place I haven’t yet been, it’s a travellers dream, and it gives me the chance to throw in some day trips to visit some of the world’s prettiest islands! 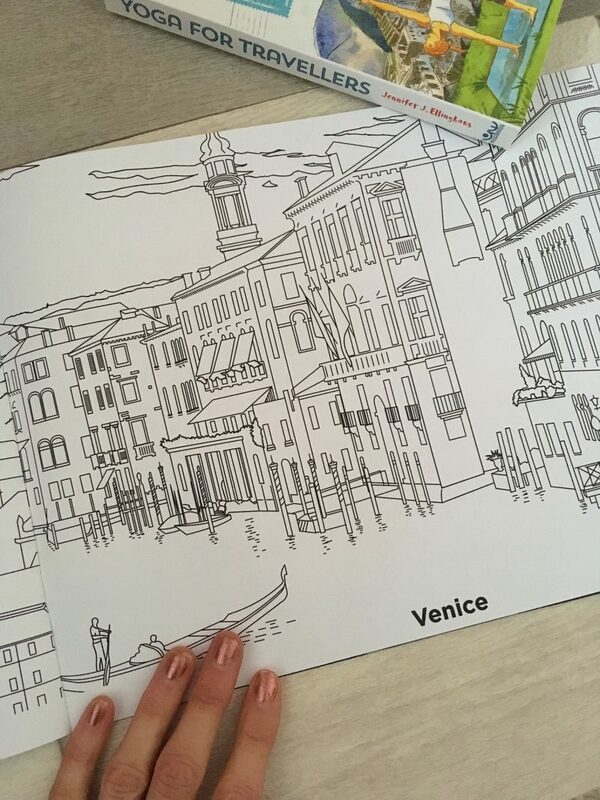 I’ve just started taking 15 minutes out to do a bit of adult colouring in adult colouring books, and although at first I thought the idea sounded naff, it’s SO therapeutic. I can’t tell you how good it feels to shade in and get those arty skills out again. 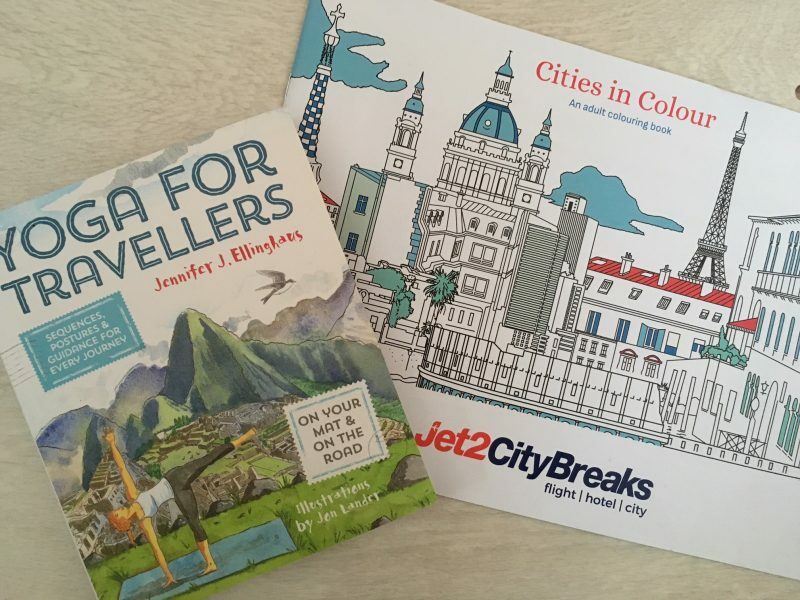 You can get colouring books in so many themes – my favourite is an #OOTD fashion one (surprise surprise), but I also have a tourist city themed one which is a lovely one too. 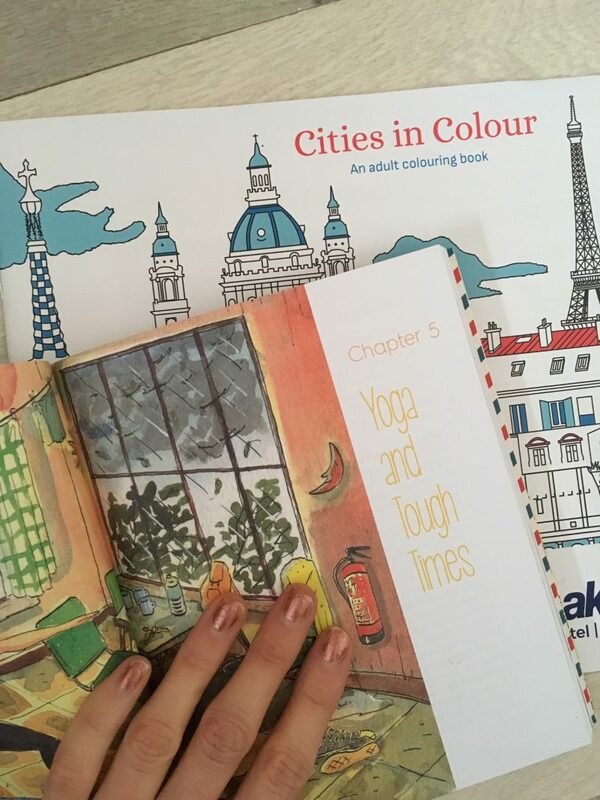 Or, if colouring isn’t your thing, try and get into a series of books to see you through the cosy season instead of being glued to the TV. If you’re usually a tea/coffee drinker, use the Winter period to explore some delicious new variations. Green Matcha Latte’s are soooo yummy, and can be made by purchasing green matcha powder and almond milk. Or, why not add a sprinkle of cinnamon into a frothy coffee if you can’t bear to not have a daily cappuccino? For me, I’m experimenting with different Pukka Herbal Tea’s, which come in so many tasty and warming flavours. I’m currently drinking a Cinnamon, Cardamon and Ginger assortment is like Christmas in a cup! I’ll be the first to admit that I get lazy in the Winter, and going to the gym seems like an even bigger chore than normal (if that’s possible). If you feel the same, don’t worry, its normal and doesn’t make you a lazy person. You can, however, keep up your fitness (or try to improve it) from the comfort of that warm, dry bedroom of yours. Stick on some YouTube videos and give yourself 30 mins of being active. It doesn’t have to involve doing HIIT or cardio – just use a yoga mat and learn some new stretches, crunches, weight movements and toning routines to keep your body in check. It sounds a like silly one, but with the increase of nights in, the earlier nights, the lack of sunshine or harsh UV, it’s the perfect season to start getting your skin in tip top condition. If you can, start October off with a purchase on your favourite cleanser. My personal favourite is Elemis Dynamic Resurfacing Facial Wash, which resurfaces my skin gently, so it causes no redness but just helps my skin stay clear, spot-free and glowing at the same time. Arm yourself up with some intensely moisturising face masks, eye gel patches, peels and all the products you never wanted to use in the Summer. Try and lather on a mask at least twice a week, and really invest in the health of your skin whilst you have all this indoor time! And one final point – let’s make this Winter season just as happy as the Summer!